Welcome to the January 7, 2019 edition of ACM TechNews, providing timely information for IT professionals three times a week. This year's Consumer Electronics Show (CES) appears to be aiming for more gender balance, as evidenced by four of the nine current keynoters being women. Minorities and women continue to be underrepresented in the tech industry, and some are calling on organizers to take a deeper look or practice more flexibility in who they invite as speakers. Said Tania Yuki of social media analytics firm Shareablee, "Diversity is about having people who see things differently—frankly, disagree with you and tell you that you are stupid." Keynoters at this year's CES event include IBM CEO Ginni Rometty and Lisa Su, CEO of Advanced Micro Devices. “There is no question we keep trying to do better,” said Gary Shapiro, CEO of the Consumer Technology Association, which organizes CES. 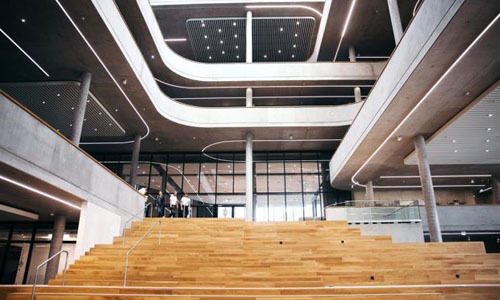 Property developers in Berlin, Germany, are tapping technology to create more sustainable offices to help employees work both efficiently and comfortably. One smart office under construction, the Cube, has a cloud-connected sensor network to measure everything from motion, temperature, and lighting to humidity and carbon dioxide levels. Such technology is called "the brain," a self-learning tool that analyzes all the data it receives and optimizes building operations. Users access the Cube with a smartphone app that knows their schedules and may suggest seating locations where a meeting is scheduled, as well as booking meeting rooms, ordering food, and navigating the office. Cube offices also feature a "hot desking" system in which workers do not have a fixed desk, but are assigned appropriate workspace for the type of work they want to perform. Smart office equipment like printers follow a predictive maintenance schedule to minimize daily nuisances such as running out of paper. The growth of automation so far has had a negligible impact on jobs at a global level, according to Pinelopi Koujianou Goldberg, the World Bank's chief economist. Although developed economies have shed industrial jobs over the last 20 years, growth in such jobs in East Asia has more than compensated for the loss. The World Development Report 2019 is the latest in a series of efforts by academics, consultancies, and governments to measure the impact of new technology on employment, with previous studies often forecasting that automation will destroy more jobs than it creates. However, the World Bank's recent report stresses the nature of work in the future will change; technological advances in automation will eliminate many low-skill jobs in advanced economies and development countries, while creating opportunities for different, more productive, and more creative jobs. 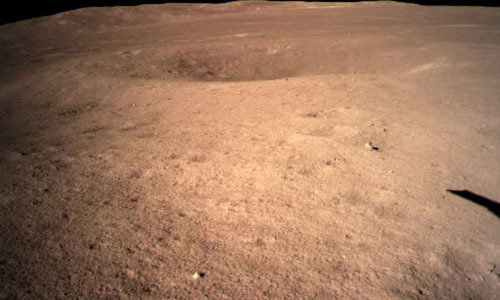 The Chinese National Space Administration (CNSA) has achieved a first in human space exploration, placing its Chang'e-4 lander and rover on the far side of the moon, using a downward-looking camera and hazard avoidance software to steer itself to a flat and sufficiently boulder-free landing spot. This is an impressive technological feat given that any spacecraft on the lunar far side cannot "see" the Earth, and therefore can neither send nor receive a radio signal from its control center on Earth. To address that problem, CNSA placed a relay satellite in a "halo orbit" around a point in space where it can see both the lunar far side and the Earth above the lunar horizon. The solar-powered six-wheeled rover aboard the spacecraft is equipped with ground-penetrating radar, an imaging spectrometer, and an instrument to observe how the solar wind interacts with the Moon's surface. 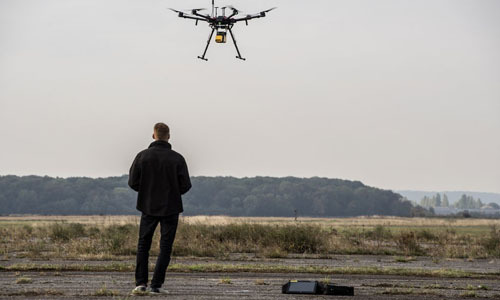 A group of companies are testing their unmanned aviation technology at a former military airfield outside Brussels with the goals of proving that drones can fly along their delivery routes without crashing into each other, and that they can be tracked in crowded skies. The Safir initiative aims to help European authorities develop a standardized set of regulations for the commercial use of drones. Mark Vanlook, CEO of DronePort, the new facility where the tests will take place, said the initiative "is about testing 10 drones with different purposes, applications, and IT systems." In addition to retailers seeking to make drone deliveries, participants include companies that produce drones that can make medical transports, assist law enforcement, inspect power lines, and monitor wildlife. As long as they pass a series of safety and certification tests, participants will hold a live demonstration over Antwerp, Belgium, later this year. 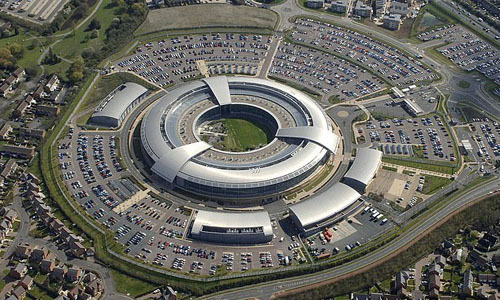 The U.K. Government Communications Headquarters (GCHQ) has created a competition for 12- to 13-year-old girls, aimed at drawing more women into cybersecurity. The agency is asking schools across the U.K. to organize teams of up to four girls who will work with mentors to tackle codes, crosswords, and puzzles offering challenges in networking, logic and coding, cybersecurity, and cryptography. These teams will have a week to complete as many questions as possible, with participants confronted with more complex challenges as they progress; the top 10 teams will then vie for individual prizes, as well as £1,000 for school computer equipment. Said the National Cyber Security Center's Chris Ensor, "Taking part will help girls develop new skills, gain rare insight into the world of national security, and hopefully inspire tech-savvy girls to consider cybersecurity as a career." GCHQ also hopes the competition will encourage girls to improve their personal cybersecurity habits. The city of Los Angeles is using augmented reality (AR) to transfer specialized knowledge to younger employees as their older colleagues retire. For example, goggles from AR firm Daqri have reduced the time it takes to train someone to repair the headsets firefighters use to communicate from 90 minutes to 30, since trainees can view additional data, like notes on repair procedures. Goggle users can see the broken headset, pull it apart, and receive overlaid directions on how to fix it within their field of vision. As workers repair the equipment, the goggles access reference materials in the upper corner of their view, or they can ask specialists to sign in and annotate in their field of vision what they are doing wrong. The goggles link to a small power unit to give workers mobility, and city officials aim for the AR program to help attract next-generation employees to replace their retiring counterparts. University of Washington (UW) School of Medicine researchers have developed a software program to identify and decode rodent vocalizations. The DeepSqueak deep neural network converts audio signals into an image, or sonogram, which could be further refined with machine-vision algorithms developed for self-driving cars. Said the UW School of Medicine's Russell Marx, "DeepSqueak uses biomimetic algorithms that learn to isolate vocalizations by being given labeled examples of vocalizations and noise." According to co-developer Kevin Coffey, the program could distinguish between about 20 kinds of rodent calls. 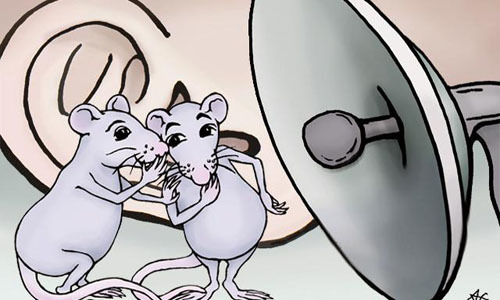 The UW School of Medicine's John Neumaier said DeepSqueak should help his team develop treatments for alcohol or opioid withdrawal faster, and make ultrasonic vocalizations "convenient, affordable, and widely available." He said, "If scientists can understand better how drugs change brain activity to cause pleasure or unpleasant feelings, we could devise better treatments for addiction." A computer program designed by researchers at the Massachusetts Institute of Technology (MIT) and Arizona State University allows users to translate any free-form drawing into a two-dimensional, nanoscale structure made of DNA, for applications in such areas as cell biology, photonics, and quantum sensing and computing. The program, called PERDIX, is available online. It can take any free-form drawing and translate it into the DNA sequence to create that shape and into the sequences for the staple strands. The shape can be sketched in any computer drawing program and then converted into a computer-aided design file, which is fed into the DNA design program. Mark Bathe, an associate professor of biological engineering at MIT and the study's senior author, said, "Once you have that file, everything's automatic, much like printing, but here the ink is DNA." The U.S. National Security Agency (NSA) plans to release a free reverse engineering tool at the RSA security conference in early March. NSA has been sharing the software, called GHIDRA, for the past few years with other federal agencies' cyber teams to help them study the inner workings of malware strains or suspicious software. GHIDRA is disassembler software designed to break down executable files into assembly code that can then be analyzed by humans; it is programmed in Java, has a graphical user interface, and operates on Windows, Mac, and Linux. The tool also analyzes binaries for all major operating systems, and has a modular architecture so users can add packages if they require more features. An RSA conference session introduction said GHIDRA "includes all the features expected in high-end commercial tools, with new and expanded functionality NSA uniquely developed." 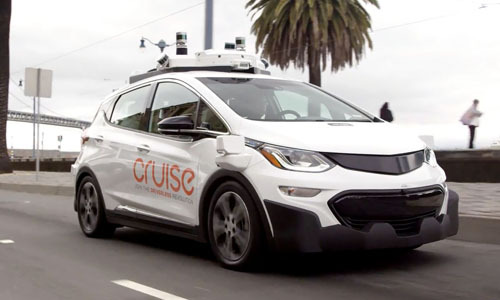 Cruise, the self-driving car unit of General Motors Co. (GM), and DoorDash have partnered to provide food deliveries, including meals from restaurants, via autonomous vehicles and will explore grocery deliveries as well. This marks the latest effort to improve the shipment of goods via driverless technologies, with Ford Motor having tested pizza delivery using driverless cars through a partnership with Domino's Pizza, and Toyota Motor teaming up with Yum Brands' Pizza Hut chain. Cruise to date has mainly focused on ride-hailing, with plans to offer a robot taxi service in an undisclosed city sometime this year. The GM unit has a San Francisco test fleet and launched an app in 2017 for its employees there to hail rides in self-driving cars with a safety driver behind the wheel.